Inheritance tax planning - which is the best way? 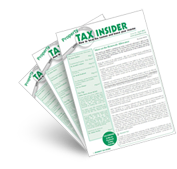 Whilst reading your December 2013 edition of the Property Tax Insider magazine, there is mention relating to inheritance tax planning and the fact that there are differences between whether a rental business generates investment property income or trading income. Can you please elaborate to what benefits each has and what can be done in the accounts to show that you are a majority of one and not the other? If a rental business is classified as trading it should be eligible for business property relief from inheritance tax. It should also be eligible for rollover relief from capital gains tax for replacement of business assets. However, Class 2 and 4 National Insurance contributions must be paid on trading income. More important than what is shown in the accounts is the level of services provided with the accommodation. Letting furnished accommodation with extra services provided is investment income, whereas running a hotel is trading income. The distinction can sometimes be a narrow one.